Well I’m not famous yet, but I was astonished at finding this video showing the gameplay of Logger and just how bad it was. Enjoy! Microsoft’s Xbox lead Phil Spencer about virtual reality headsets. “For us, I think this is the area,” Spencer told a group of interviewers at yesterday’s Windows 10 event. He was responding to whether there’s also a virtual reality headset in the works at Microsoft, just an hour after the company unveiled HoloLens: a “mixed reality” headset that enables the wearer to see holograms in real life. And that’s why I say HoloLens both is and isn’t an answer to Sony’s Project Morpheus, or the Oculus Rift, or even Samsung’s Gear VR. It’s similarly impressive, and head-mounted, and even delivers some similar experiences, but it’s not virtual reality and it’s not a head-mounted display. It’s… something else. It seems we have come along way in what seems a short amount of time. Actually its a lot longer than I care to think about. Now a days I spend my time knee-deep in databases and data entry forms and lets not forget, reports. Data, data, data. But there was a time when such things were the last thing on my mind. Dare I say it something much more frivolous and fun. Games. Back when people were writing software in their bedrooms (we weren’t called developers then) and games weren’t multi-million pound productions with hundreds of people working on them. For the record I didn’t have my first computer in the bedroom. It was for the whole family and used the TV in the front room. 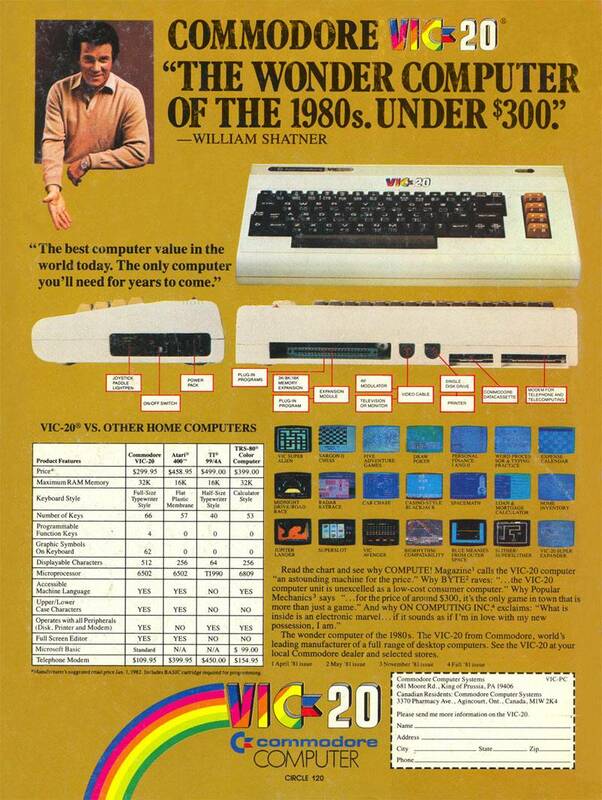 It was a Commodore VIC-20. Which later was ungraded to a Commodore 64 and then an Amiga 1000. 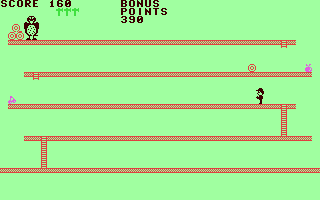 But writing code has always been fun and I had to have a go at my favorite arcade game of the time, Donkey Kong. I never got very far playing on it. It’s still pretty damn hard when I try playing it with MAME. But its only got 4 levels so they’re not going to let you do it quickly. I had already got one game coded on the VIC-20. A breakout clone. Even managed to sell a copy of it to a friend. Actually he wanted to buy it. There was definitely a shortage of good quality games at the time. If I remember correctly it would only get every brick if I allowed the ball to go through a wall once or twice. Certainly made it interesting to play. Wanting to do better next time I aimed higher. This time I had designed a new font for the game. This was essential for a VIC-20 game as custom fonts were used to display graphics. The Mario like character, the Kong character, platform, everything, was a character in a font or made of several characters. That meant I could use that font designer we typed in from a listing in Compute magazine. Of course we typed it in. There was no Internet, we couldn’t download it. There was nowhere to download it from. Program source code was printed in magazines and people had to type it in. Of course they had to make sure they typed it in correctly, or they would be playing an entirely different kind of game. A bug hunting one. A lot more frustrating and not nearly as much fun. Some of those listings were hexadecimal assembly code. They even had special software to make typing that in that bit easier. But you had to type those in first of course. I liked the designing graphics part. That was definitely fun for me, and it made the creation of the code to make them move about the screen more interesting. After all what would you rather watch, a funny little man running around the screen or the letters “A” and “B”. As we were moving characters or symbols around the screen this wasn’t smooth pixel movement. This was move a graphic 8 pixels a time for every step. But hey those were the days. Moving graphics around the screen a pixel at a time was more complicated for the old VIC-20. It could be done but that meant manipulating the custom font in real-time to map a graphic to a set number of characters. This meant some very clever code in assembler. I wasn’t quiet at the stage yet. But I didn’t let it stop me from going ahead and coding my version of Donkey Kong. Of course I couldn’t call it that. So I came up with the name Logger. After all those do look like logs rolling down the platforms. It didn’t seem long at all before I had a working game written in BASIC that only had one screen and only one log-rolling at once. But it worked and it was only my second attempt at coding. So I was quite proud. 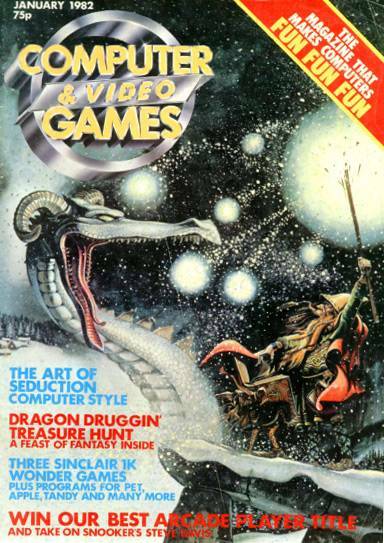 Around this time a new magazine had started to be published in the UK called “Computer and Video Games“. Or C&VG for short. As there weren’t a great deal of games to review they, like other magazines, published the source code of games for the readers to type in and, cross their fingers and, hope it worked. I thought why not send mine in. A month or so later I received a copy of the magazine in the post and a cheque for 10 pounds. Much boasting to my college friends followed. Can’t remember if they were impressed or not. Why this trip down a very long memory lane? The guilty confession is something that you are probably guilty of. Googling yourself. You haven’t done that? Really? Of course not. Lower down my search results was something I hadn’t seen for sometime. 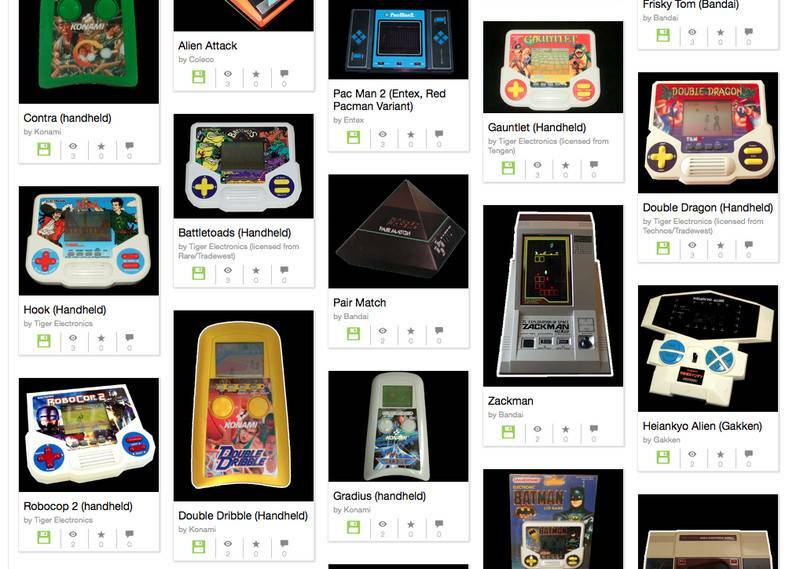 Site’s have cataloged nearly every game you can think of. 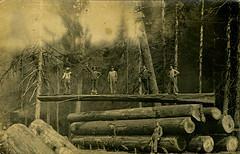 This particular site (GB64) had not found “Logger” in the magazine but in a book. As apparently it had been collected with many others and reprinted. They even had a screenshot. How about that. You can even download it from here. Well, it saves you from having to type it in. Doing it the old fashioned way!